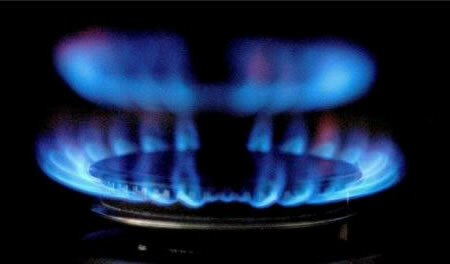 Many families at this time of year are looking to reduce their bills they are dealing with. For many this will mean comparing gas and electricity prices and trying to find a better deal than they are currently on. Be it gas, or electricity, or both, these resources meet many of our day to day tasks, from cooking, cleaning and entertainment. Dutch Senators have finally moved on to greener ways to deal with their documents than printed papers. 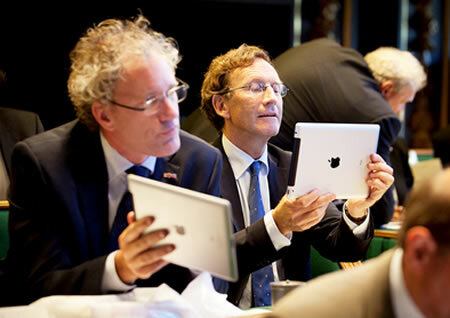 With Apple iPads introduced in the upper house of the parliament, the Dutch Senate is the first in Europe to distribute digital documents and push away paper use! Also, the Senators are currently being instructed on how to use the Senate app specially designed for the iPad. With 150,000 Euros ($201,053) spent on developing the application and buying the iPads, the Senate expects paybacks in about a year, saving about 140,000 Euros ($191,184) in printing and courier costs, while saving the lives of innumerable trees around! The residents of Milan recently were struck with an unearthly silence, as the northern Italian city decided to leave its cars at home for a whole 10 hours in an attempt to decrease smog. All traffic came to a grinding halt between 0800 and 1800 local time. 120,000 vehicles were affected on this green Sunday with officials deciding to place the ban after having shocked themselves into environment-awareness with satellite imagery showing Milan to be one of the most polluting cities in Europe! Carbon fiber is used extensively today in the automobile industry as an alternative to traditional steel being used to manufacture cars. Being a lighter alternative, many automobile manufacturers have resorted to use carbon fiber, given that cutting down weight does add points to a car’s performance. However, carbon fibre doesn’t come cheap, and a recently developed woven bamboo fibre and vegetable resin material could instead take its place. Strong enough to fall in the ranks of carbon fibre and fibreglass, this new material is easier to manufacture too, cutting down costs given that bamboo grows quickly and is easy to use as raw material. HP’s EcoPOD, the world’s most efficient data center made from recycled shipping containers! Data-centers are energy suckers, electricity-dipsomaniacs and are a serious strain on national grids. Ideally, these take about $15 million a year to operate on average and are more than often under-utilized and tend to drink an equal amount of funds to maintain too. 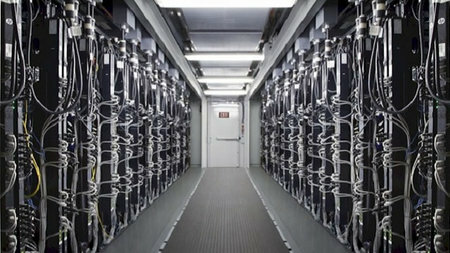 However, turning a data-center green today is indeed possible, with HP setting an example with its Performance Optimized Data Center 240a, more commonly known as the HP EcoPOD. With benefits like energy efficiency, this high-performance server center with a higher power density, lower operating cost, faster deployment time and a footprint 1/10th the size of the traditional data center, seems to be the answer to data center designs of the near future! Having become an active member of the World Wildlife Fund (WWF) Climate Savers program, Fairmont Hotels & Resorts recently unveiled its master plan to reduce its carbon footprint. The hospitality big-shot has put in some pretty green thoughts into lightening its carbon footprint, pledging to reduce operational CO2 emissions by 20 percent below 2006 levels by 2013. Currently, the hotel company is already 8% cleaner, and is more than half-way from its goal. The hotel currently is channeling its efforts to improve energy efficiency, increase conversion to low carbon technologies and solutions and is promoting conservation practices among 30,000 employees worldwide! Shortly before, Tesco decided to cut the use of its environment-friendly degradable bags, given that these were well, not as green as they were expected to be. The supermarket chain recently swung open its doors at Somersham, a village in Cambridgeshire, and has decided to stick to the green policies of the little habitation. 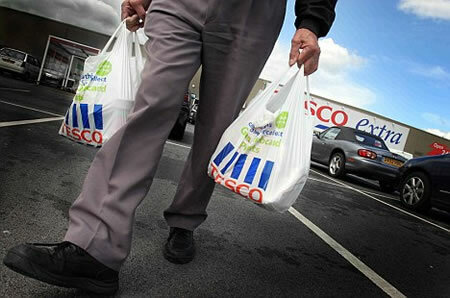 Instead, the Tesco store will have “bag for life”, plastic bags that aren’t meant to be disposed but used repeatedly. Also, Tesco will keep an ear open for customer feedback, and will decide if continuing with these will be appropriate for the future. 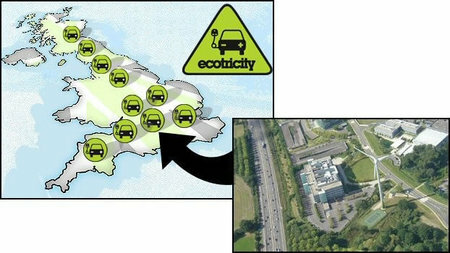 In a bid to turn the roadways of U.K. greener than ever before, Ecotricity plans to install green-energy-powered electric vehicle (EV) charging points at selected motorway service stations across the United Kingdom. Ecotricity is putting every effort into promoting the use of EVs with these charging posts that will be set up at Welcome Break service stations. The charging posts will power up with either solar energy or wind energy, making them truly green, without hooking on to the grid all the time. The charging posts have 7-pin 400v/32A supply capable of charging cars in 20 minutes to a couple of hours, depending on how much charge you require! A few solar panels on your roof can change your life and better the environment. An entire village choosing to do so is a green feat like never before! 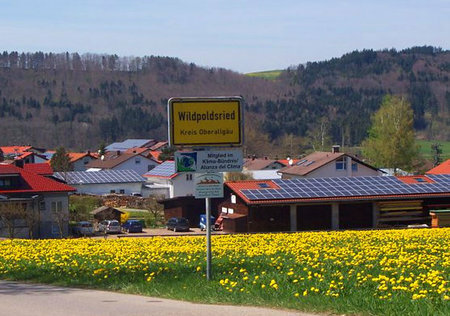 Take the German village of Wildpoldsried for instance. Located in Bavaria, the village has turned greener than ever, producing a whopping 321% more energy than it needs! And with that, the village also generates about $5.7 million in annual revenue from renewable energy! The village first went green in 1997, and has now come a long way with solar panels, four biogas digesters, seven windmills, and two more under construction. That’s not all. The little residence with a population of just 2,600 also uses three small hydro power plants, ecological flood control, and a natural waste water system! We’ve got wind of PepsiCo’s efforts to go green with the EcoGreen bottles that showed up a while ago. These bottles are completely recyclable unlike the regular PET bottles, and could help keep tons of plastic waste away from landfill sites. 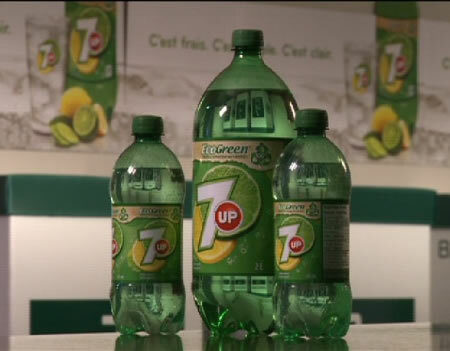 Now, PepsiCo Beverages Canada unveiled the 7UP EcoGreen bottle. Using these bottles will help keep 6 million pounds of virgin plastic from ending up in landfills on an annual basis, reducing 30% in greenhouse gas emissions and over 55% in energy use at the same time.